Check out our program finder for more! 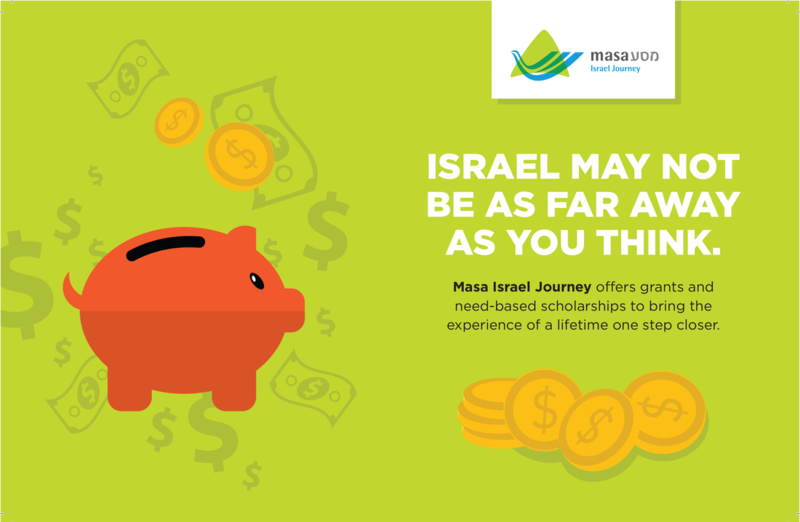 Masa Israel Journey is the leader in immersive international experiences in Israel and they offer scholarships to help you get back. Masa Israel offers young people ages 18-30 the top gap year, study abroad, service-learning and career development opportunities. "Spending a year as a Masa Israel Teaching Fellow was one of the most rewarding and challenging experiences I have ever done and I would do it all over again if I could." For more information about Masa Israel and its large variety of programs, contact Paula Harlan at pharlan@hillel.org or 513.658.9868.